"Portrait of a Skeptic" 1996 oil on linen by Carlo Pittore. 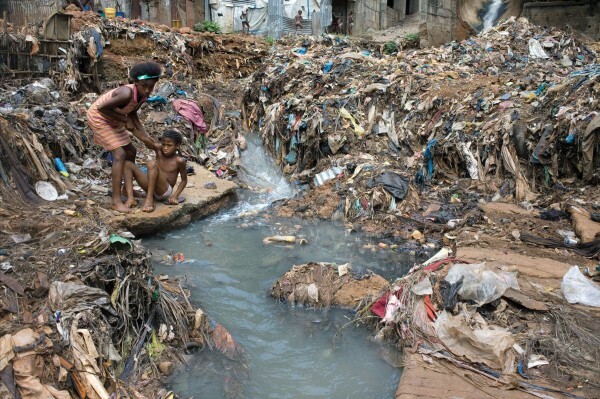 "Sierra Leone" 2011 archival inkjet print by Dominic Chavez. 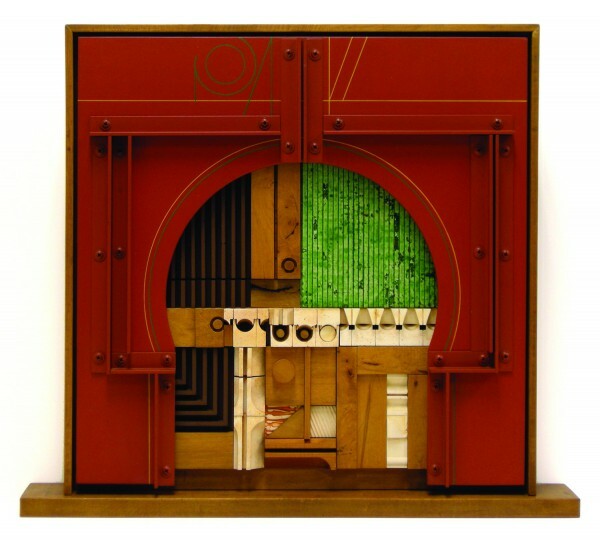 "Construction #689" mixed media wall sculpture by Abe Ajay in 1989 is a gift from John & Robin Noyes and Heidi Dickinson to the UMMA permanent collection. The University of Maine Museum of Art wears many hats. As a museum in Bangor, it’s a place to showcase Maine artwork and educate the community. As a museum with a focus on contemporary art, it’s a place for accomplished artists to showcase their work. And as a college museum, it’s a place that challenges the mind. This fall, three new exhibits running through Dec. 30 will take on all of these roles. 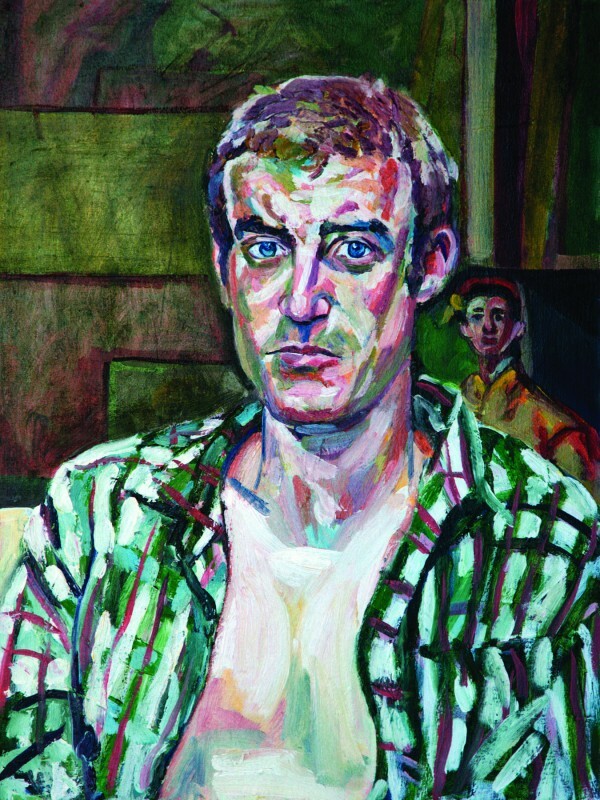 “Studio Life,” portrait paintings by Carlo Pittore, is a sampling of an influential Maine artist’s work. “Constructions,” by Abe Ajay, is a breathtaking contemporary exhibit by a highly accomplished sculptor. And “The Global Lens,” documentary fine art photography by Dominic Chavez, challenges the mind, and moreover, the heart. Boston-based photographer Dominic Chavez has traveled the globe to shed light on some of the most challenging human conditions. His images, many of which exceed the threshold of fine art photography, are found through his compassion and courage to open his eyes and focus his lens on poverty and war. The UMMA exhibition is a sampling of photographs from his many projects, shedding light on the effects of war in Columbia, Iraq, Afghanistan and Angola, the AIDS crisis facing the nations of Africa and a wide variety of other global health issues, including his most recent project on the lack of clean water in Sierra Leone and other locations throughout Africa. Sometimes it’s just that, a moment, and sometimes it’s more. He forms friendships that continue by phone or email when he has returned to his home in Boston. Because of the passion he has for raising awareness, he has never turned away from a difficult situation. Usually, Chavez’s exhibits are built around one theme. For example, his large exhibit in Buckingham Palace in June focused on maternal and infant mortality. The exhibit coincided with a health conference involving the top 25 global health organizations in the world. But the UMMA exhibit is a sampling of his entire body of work — large color prints that span his many projects. Chavez’s photographs have been shown internationally, including exhibits in Senegal, China and London. He has been recognized with many awards. In 2004, he received the Media Excellence Award by The Global Health Council for his work on the AIDS crisis in Africa. He also won First Place International in Pictures of the Year International for his work during the Iraq War. He has published seven books, collaborating with writer John Donnelly and his wife, Silvia, who often designs the layout. To learn more about Chavez, visit dominicchavez.com. Carlo Pittore (1943-2005) lived in New York City and Italy, but he called Maine home. In 1987, he settled in Bowdoinham, where his studio quickly became known as a place of learning and creativity. His legacy lives on through The Carlo Pittore Foundation, a nonprofit private foundation established to promote and educate the public about the his artwork and to support figurative art. They aim to aid artists and institutions in celebrating the human figure, as Pittore did. Pittore’s drawing group continues at the same location, 216 Post Road in Bowdoinham, led by artist Eric Legassie. The group meets 6:30-9:30 p.m. each Wednesday. “What I admire about his work is that he often found that human piece, the humanity in his models, and when he found that, he got it better than anyone else,” said Drucker, who also attended the exhibit opening. The foundation owns more than 1,000 of Pittore’s oil paintings and several thousand drawings and sketches on paper, watercolors and Mail Art, a genre Pittore was instrumental in establishing. Executive Director Sarah Bouchard assisted UMMA Executive Director George Kinghorn in searching through the vast collection to select the pieces for the museum exhibit. A fundraising event featuring 1,000 Pittore works on paper, “Day of 1,000 Drawings,” will be held noon-5 p.m. Saturday, Oct. 29, at Fort Andross Mill complex, 14 Maine St. in Brunswick. That day, the foundation will award its first two grants of $1,000 to working Maine artists. Pittore drawings will be for sale at reduced prices, and the proceeds will go to the foundation for future projects and grants. Pittore has recently been chosen to be featured in the ongoing film series “Maine Masters.” To help with funding this project and to learn about other “Maine Masters” films, visit mainemasters.com. For information about the foundation, visit carlopittorefoundation.org. Abe Ajay (1919-1998) was pulled away from two-dimensional compositions to pursue an art form straddling the line between sculpture and painting — wall-oriented relief sculptures. A self-proclaimed “unrepentant object maker,” Ajay used found objects, polyester resin, wood, canvas and wire to form wall sculptures that are so exact and intricate that they appear otherworldly in nature yet familiar. Ajay’s “objects” evoke images of Spanish and Middle Eastern architecture, shipbuilding, mechanical interiors and navigation, but to Ajay, they were echoes of his spiritual experiences while working in his studio. His works are included in many prestigious collections, including the Metropolitan Museum of Art and the Solomon R. Guggenheim Museum in New York City and the Hirshhorn Museum and Sculpture Garden in Washington, D.C. The exhibit was lent to UMMA by Ajay’s daughter Robin Noyes and her husband, John Noyes, who lived in Maine and donated two of Ajay’s pieces to the UMMA’s permanent collection. For information on the exhibits and UMMA, visit umma.umaine.edu or call 561-3350.